Discussions have included installing LED lights to illuminate the new Memorial Bridge's towers, piers and a memorial plaque when it opens in July. PORTSMOUTH — A committee raising money to light up a new bridge connecting New Hampshire and Maine has reached its initial goal of $150,000. More than 95 individuals and 28 area businesses and organizations combined have pledged or donated the amount toward the goal of $200,000 for the Memorial Bridge. The bridge is under construction and expected to open in July. 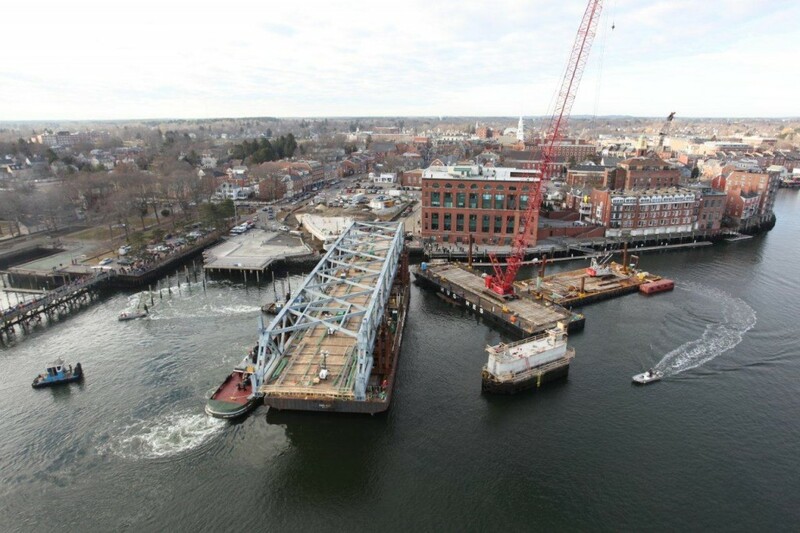 It will replace a nearly 90-year-old bridge connecting Portsmouth, N.H., and Kittery, Maine. Discussions have included installing LED lights to illuminate the bridge’s towers, piers and a memorial plaque. The committee is holding a public information presentation at the Portsmouth Public Library on Wednesday at 7 p.m.